If you're a fan of stunning vistas or a fan of good food, this restaurant is for you. Top of the World at the Stratosphere is a remarkable experience. It rotates 360 degrees in an hour and 15 minutes, so over the course of a leisurely meal you can take in all of the Las Vegas sites - including places beyond the Las Vegas Strip, like Mount Charleston. The expanse of the Mojave Desert's landscape, however, pales in comparison to the expansive choice of menu items. Top of the World offers a selection of scrumptious appetizers like chilled prawns and papaya, Kobe beef carpaccio and stuffed portobella mushroom caps. Appetizers won't serve as a meal though, but Top of the World has an excellent selection of entrees from elegant classics like filet mignon to more contemporary lobster and crab ravioli, so hearty eaters need not fear. For a budget lunch, the three-course prix fixe menu is a good option. 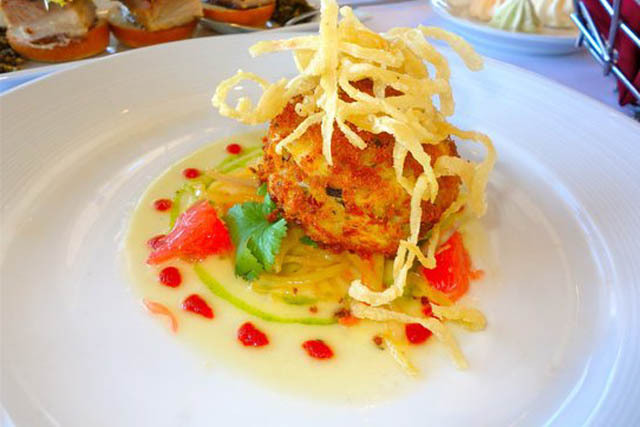 The menu begins with a soup or salad, followed by an entree and then a dessert. 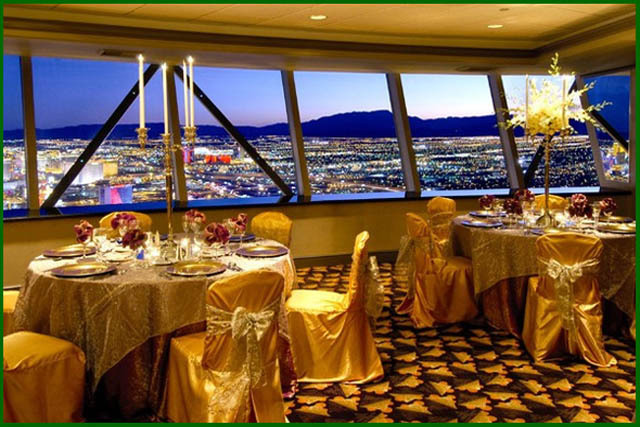 The signature dessert at Top of the World is the Stratosphere. Naturally, this dessert is in the shape a tower, and it is made of a dark chocolate mousse filling a chocolate frame. The vanilla sauce garnish balances out this dish. If you are more interested in cocktails than dining, pay a visit to the Romance Lounge on the second floor. Whether you indulge in the cabana style seating here or you eat a meal in the dining room, a trip to Top of the World will put a smile on your face.